After clinching its first Football Championship Subdivision playoff berth in 10 years, the Youngstown State University football team watched the selection show on Sunday afternoon to see who it will play in the first round. 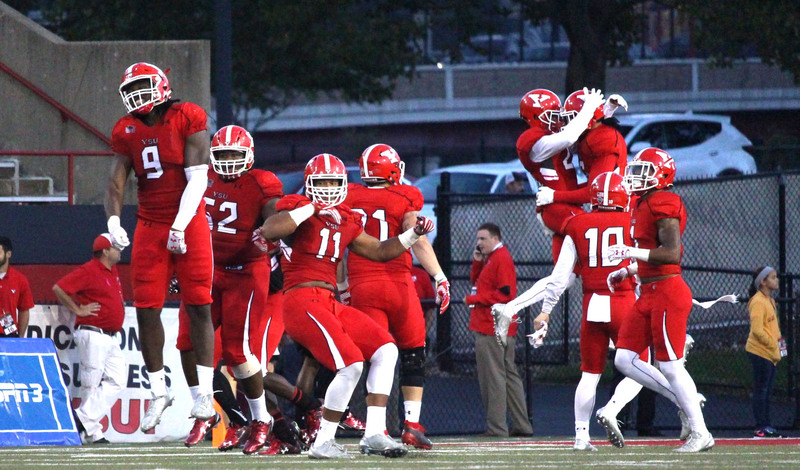 YSU will play Samford University, the fourth-place finisher in the Southern Conference. Samford was ranked 23th in the final STATS poll and 18th in the final FCS coaches poll. For YSU safety LeRoy Alexander, the matchup came as a bit of a surprise. Most of the projected brackets had YSU playing Villanova University or St. Francis University. With YSU’s 65-20 win over Missouri State University, the Penguins overcame a recent hurdle. The Penguins combined to go 3-8 in the November since 2013. 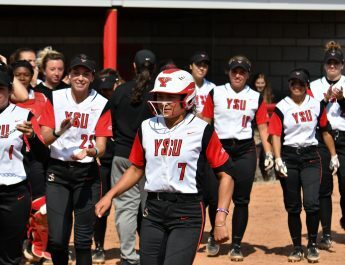 Most of those games would have allowed YSU to make the playoffs, but the collapses in the final month of the season prevented the program from moving forward. The Youngstown State University football team celebrates a win at Stambaugh Stadium. Since head coach Bo Pelini took over two seasons ago, the Penguins’ goal was to get back to the playoffs. Now Pelini said the goal has become a visit to the national championship. 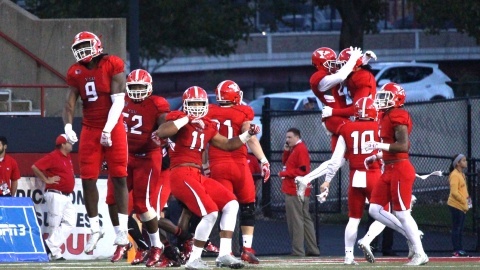 The YSU football players have been practicing, preparing and playing since August. Pelini said the biggest challenge for any playoff team isn’t the physical toll, but the mental fortitude needed to keep preparing and practicing for another one to five weeks. “This will be a grind, but that’s what I’ve been challenging our team with,” Pelini said. “As you keep moving forward throughout the year, somebody’s gonna do it. Somebody’s gonna be mentally tough enough to do it. And it’s not just the grind to get through and win football games, it’s the grind to prepare. It’s the grind to prepare and win games during the week. That’s what it comes down too. Saturdays, yeah it’s important, but if you don’t do it during the week, it’s not going to happen on Saturday. Pelini said the team has taken a business-like approach this season. He said the team has focused on one game at a time. Pelini said the Penguins have to take that mindset into the playoffs and not get ahead of themselves by looking forward to the next round.